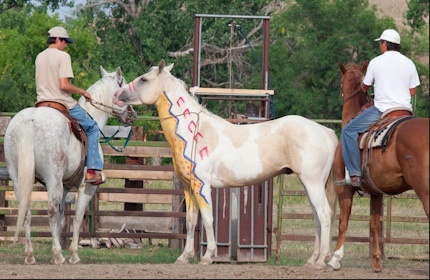 The Crow Nation: Heroes, Rodeos, and Painted Ponies! O’siyo. 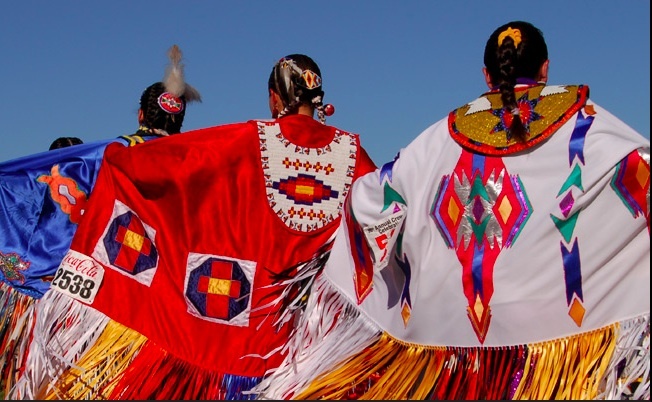 Here is an update for the ESL lesson plan for the Crow Nation. 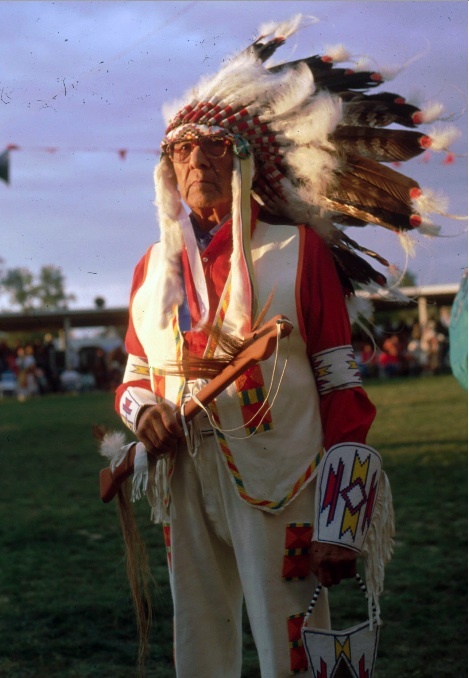 The Crow people are also known as Absaroka or Apsaalooke. Their brave spirits have taken them on many new paths. The People of the Crow Nation are very active in joining the old ways with the new. Original Crow Lesson Plan with Answer Key here. 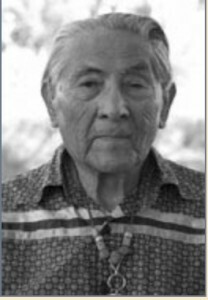 Dr. Joe Medicine Crow walks on, April 3, 2016. THE FAMOUS CROW FAIR & Rodeo! 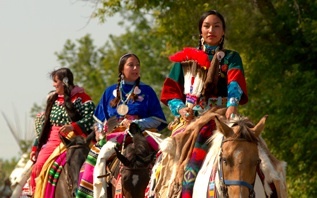 The beautiful Crow women in the Crow Fair & Rodeo parade. The Crow men are legendary for their roping and riding skills. Crow Fair and Rodeo. 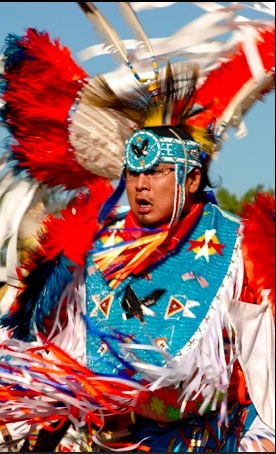 Dancer wears colorful regalia. Crow Fair and Rodeo. Beautiful Ladies’ regalia From the Crow Fair and Rodeo. Mark your calendars! 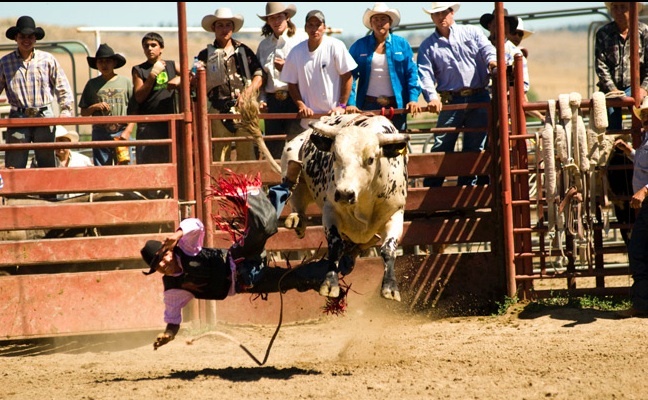 The dates for the Crow Fair and Rodeo this year August 15, 2013- August 19, 2013-More information. 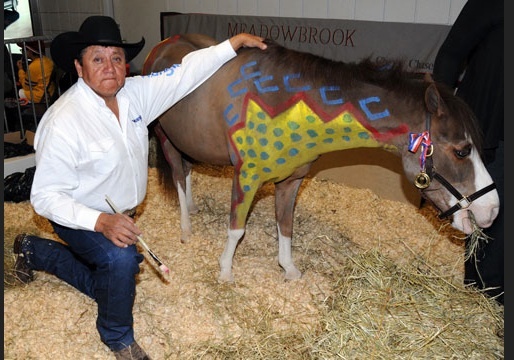 Kennard Real Bird painting a pony as part of the WIHS partnership with Smithsonian’s National Museum of the American Indian at WIHS Kids’ Day in 2011. (Photo- Lawrence J. Nagy) WIHS. Decorated Paint Horse Being Prepped For Brady’s War Pony Photo-Shoot. 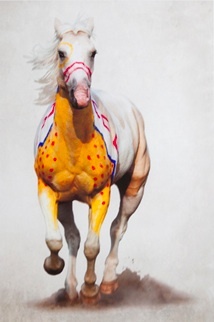 The Famous Brady Willette’s Crow War Pony. 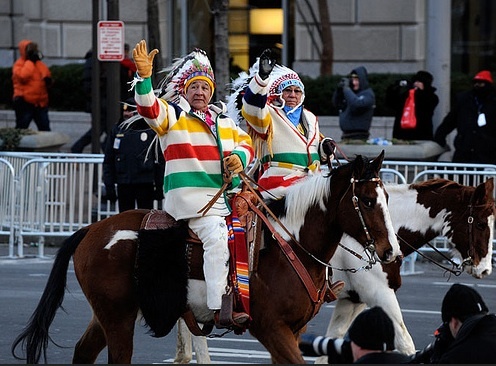 Plenty-Coups, famous Crow Chief. 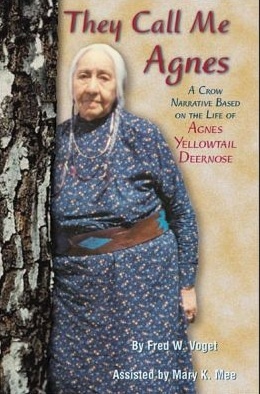 Photo- Native Quotes. 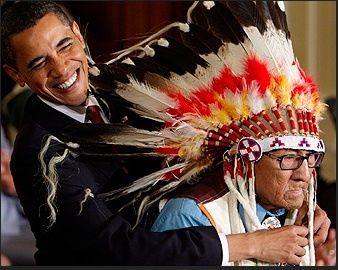 “While he was a presidential candidate, President Barack Obama was officially adopted into the Crow Nation. This occurred when he visited the reservation during his campaign for the presidency of the United States. This was the first time a presidential candidate had visited a tribal reservation…Drums pounded and the crowd cheered as Obama was escorted to the podium by his new parents, Hartford and Mary Black Eagle, in the manner of a groom being walked down the aisle. Obama beamed. His adoptive parents gave Obama hugs as he stepped onto a riser to speak.” The Washington Post-2008. 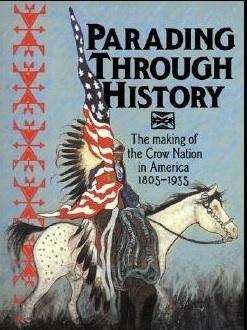 Parading Through History- The Making of the Crow Nation in America 1805-1935. By Frederick E. Hoxie. Google Books. Plenty-coups the last hereditary chief of the Crow Indians. By Frank B. Linderman. Google Books. 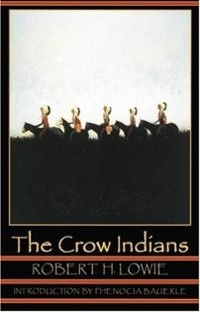 The Crow Indians (Second Edition) By Robert Lowie. Google Books. “Education is your greatest weapon…Study, learn, help one another always. 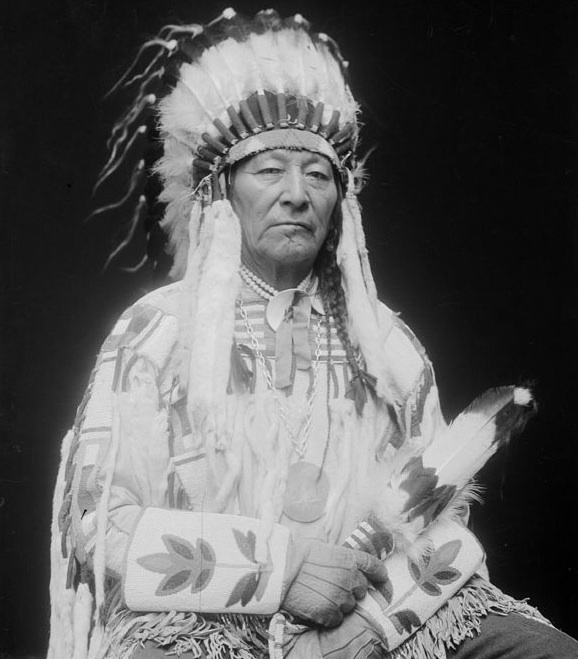 Remember there is only poverty and misery in idleness and dreams – but in work there is self respect and independence.” ~Chief Plenty Coups~ Crow Nation (1848 – 1932).